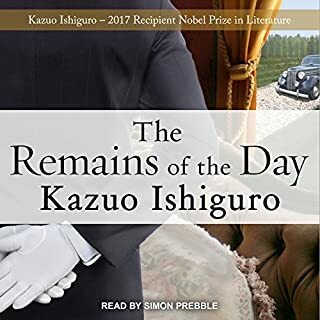 The Remains of the Day is a profoundly compelling portrait of the perfect English butler and of his fading, insular world in postwar England. At the end of his three decades of service at Darlington Hall, Stevens embarks on a country drive, during which he looks back over his career to reassure himself that he has served humanity by serving "a great gentleman". But lurking in his memory are doubts about the true nature of Lord Darlington's "greatness" and graver doubts about his own faith in the man he served. This is one of the exquisite pieces of contemporary world literature. Few authors have the powers necessary to make the unreliable narrator a truly intriguing protagonist anymore, but Stevens was made to be read between the lines. Erudite but approachable, this novel is like an intricate puzzle box to be reverse engineered. 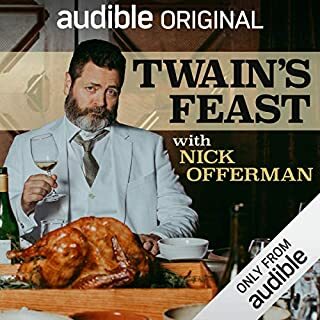 Twain’s Feast was an extremely good listen. I was initially interested because of Mr. Offerman’s role as a reader, but quickly found the content both well-written and expertly performed. The subject could have been interesting in itself, but both of this factors enhanced this production beyond simply ‘interesting.’ Overall, a great listening experience. this production could be any better. Making a compelling novel from ancient myth is no easy feat, but Ms. Miller accomplished this task very well. 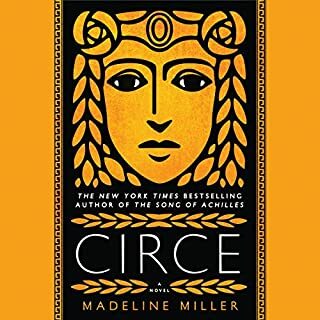 ‘Circe’ has all the energy of a contemporary story, and makes myth accessible and approachable for modern readers. Her characters are dynamic, with complex but believable motivations for their actions. Ms. Weeks has a wonderful voice, and is a great reader. The only qualm I had while listening was that her reading lacked emotional rhythm where it could have complemented the narrative. The narration is outstanding, and I might recommend this on that strength alone. 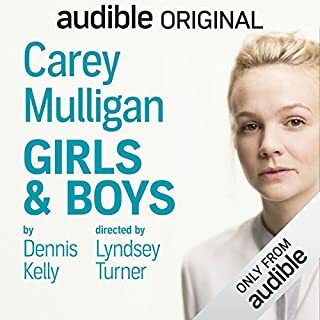 I finished listening in just under three days, and enjoyed it very much. There are moments of sharp whit and humor (the author's teasing her husband, some observations on life's absurdities here and there), and it is very well written overall. 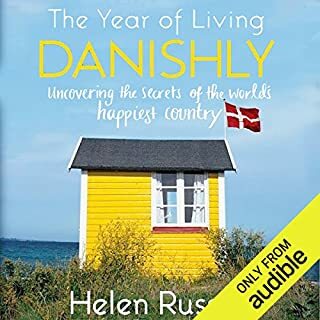 There are other moments, however, where 'Living Danishly' doesn't quiet escape some of the pitfalls of its genre. Ms. Russell concludes each chapter with a 'ten things I learned this month' segment, and after so many chapters these start to feel like 'ten-steps to success' blurbs or 'top ten habits of effective people' spam which you might find on LinkedIn. The book is still very well written and very well read, which still more than make up for that quality. If you wanted to read this book for those reasons, you won't be disappointed. Lady Alexia Maccon, soulless, is at it again, only this time the trouble is not her fault. 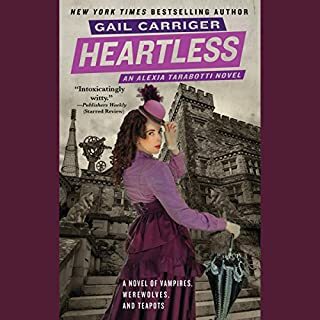 When a mad ghost threatens the queen, Alexia is on the case, following a trail that leads her deep into her husband's past. Top that off with a sister who has joined the suffragette movement (shocking! ), Madame Lefoux's latest mechanical invention, and a plague of zombie porcupines and Alexia barely has time to remember she happens to be eight months pregnant. Can Alexia determine who is trying to kill Queen Victoria? 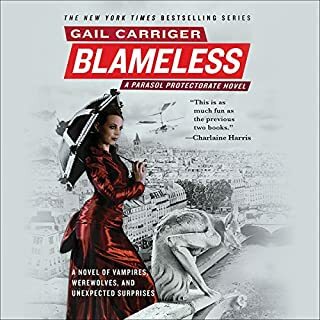 Why isn’t Gail Carriger more popular? I really think it’s an indictment against our times that neither Ms. Carriger nor her work aren’t more widely known or remarked upon. Also, I have yet to hear a performance by Ms. Gray which is wanting in quality - she is an ideal match for the book. Well played, publishers and talent agents; well played. Quitting her husband's house and moving back in with her horrible family, Lady Maccon becomes the scandal of the London season. Queen Victoria dismisses her from the Shadow Council, and the only person who can explain anything, Lord Akeldama, unexpectedly leaves town. To top it all off, Alexia is attacked by homicidal mechanical ladybugs, indicating, as only ladybugs can, the fact that all of London's vampires are now very much interested in seeing Alexia quite thoroughly dead. I think very few authors are so whimsical, so literary, and writes with such quality. If you wanted a novel of manners that is fun and well written, this is for you. Emily Gray is a fantastic reader. I would highly recommend this novel, or any other in the series. I thoroughly enjoyed this book. It’s length of upward 18 hours is intimidating, and even though the plot drags a little in the middle, it is well worth investing the time. The narrative pivots between the two titular characters and past recollections, but that structure is still relatively straight-forward and easy to follow. 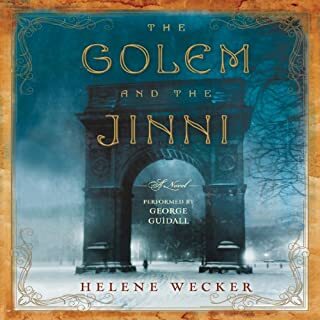 A platonic romance between Jewish and Syrian outsiders, who happen to be in the melting pot of nineteenth-century through less-than-orthodox methods, is especially topical (but also doesn’t call attention to itself). Anyone who knows about the Kabbalah or the Arabian Nights will delighted by how well elements from either are interwoven into the story. I thoroughly enjoyed this book - both as a story and as listening experience. 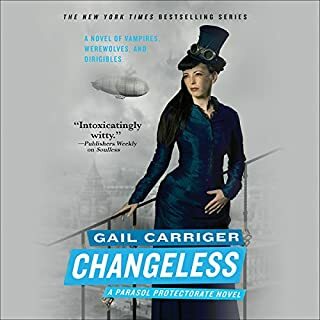 It has all the wit and fun of the first Parasol Protectorate book, but I thought the plot was more kinetically paced and character development more substantial in this one. If you enjoyed the previous book, then I would definitely recommend this one. I was drawn to this primarily by Mr. Howard’s previous series. Although there are parts of this book which I liked, I would be lying if I said I wasn’t let down. 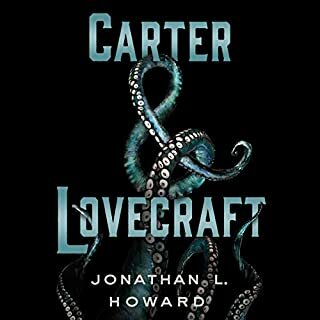 I believe Mr. Howard is at his best when Lovecraft’s themes provide a foil to his own inventive story-telling, but the narrative here is too much of an homage to his predecessor. As the author notes through one of his characters, no one reads H.P. for his prose - but this novel has way too many Lovecraftian turns of phrase, and attempts at mystery because of the ‘unknowability’ of inter-dimensional/sea monsters falls flat (I believe the same is true for Mr. Lovecraft’s stories themselves). Overall, I still like Mr. Howard’s work, no less but no more because of this book.